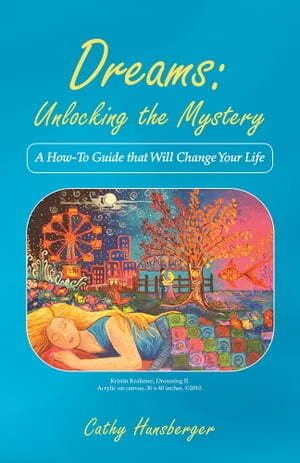 Collins Booksellers - Dreams: Unlocking the Mystery by Cathy Hunsberger, 9781452583846. Buy this book online. DREAMS takes you on an exciting journey through the world of your dreams. You will soon be able to remember your dreams, decode your dreams, and use those dreams to your best advantage. Your waking world will be transformed; things will never be the same. Dreams are real, dreams are personal, and dreams can change your life. Cathy has helped unravel my most cryptic dreams. I have been amazed at her suggestions and thought she knew the most intimate workings of my mind. DREAMS reveals her secrets. Well written, with abundant examples, there is something here for every dreamer. Dreams are important. Years ago, I dreamt about a stranger and saw him the next day in my waking life. Weve been married now for twenty years. I especially like Cathys bookand Ive read many on dreamsbecause it includes the history of dreams and examples from celebrity dreamers. This information helped me feel comfortable about making dreams a key part of my life.